Never pay credit card interest always pay the balance of each statement. Ask yourself this question before using your credit card, is this what I need or what I want. Never put automatic payments on your credit card. 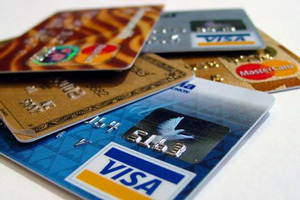 Leave your credit card at home when going out to shop. Never pay the balance late. Never exceed the credit card limit. Only have 2 credit cards maximum. Make sure keep the available credit low. And if all else fails freeze the card in a block of ice and hope like hell the urge passes before the block melts. In conclusion people have to look at a credit card as a tool and not a way of borrowing money. To minimize the dangers of hurting your financial health be aware of the 10 points above, also choose your credit card wisely some have annual fees and extra charges for the way you use the card. My best financial tip is never pay credit card interest and always pay the balance on your statement every month on or before the due date. Visit the Solutions Financial website for help in securing your Financial Security needs and obtaining your Financial Freedom in the future years to come.